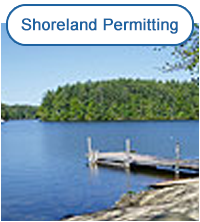 WHY ARE SHORELAND PERMITS REQUIRED? 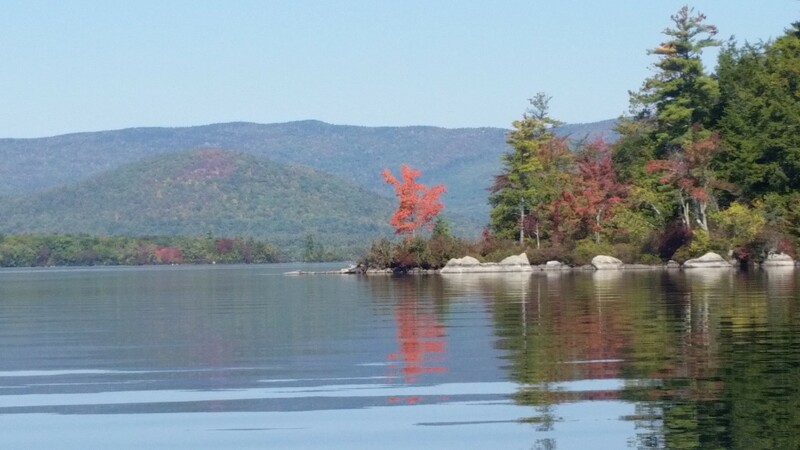 The State of NH commissioned a study in 2005 of the State of NH Comprehensive Shoreland Protection Act (CSPA), which was originally enacted in 1991. The outcome of the study resulted in changes to the CSPA that would provide greater oversight in the protection of NH?s water-related natural resources. For the full overview click here. WHEN IS A SHORELAND PERMIT NECESSARY? A Shoreland Permit Application must be submitted to the NH Department of Environmental Services (NHDES) for review. 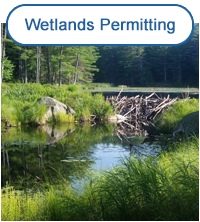 Ames Associates has been preparing these permits for countless clients since the State of NH implemented this permitting process in 2008, and the result has been the development of a significant rapport between our office and NHDES staff. CAN PROPERTY OWNERS COMPLETE A SHORELAND PERMIT APPLICATION ON THEIR OWN? The short answer is "Yes." However, we have entered into working relationships with a number clients who have reached their limit of frustration after spending hours attempting to navigate the rules and requirements of the Shoreland Permit process, or who have been referred to our office by local or state officials after submitting an application that has been considered "incomplete" because it lacked important criteria. 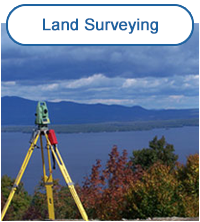 Ames Associates utilizes state-of-the-art technical equipment and software to obtain detailed site information. This information is then used to prepare professional plans and application documents. Our experienced staff knows what is needed for the application, and where to go for prompt answers if an atypical scenario is encountered. Additionally, with multiple disciplines under one roof, Ames Associates communicates "in-house" regarding potential project overlaps between various local and state regulatory departments. For example, modification of a residence located within 50' of a shoreline would require not only a Shoreland Permit, but quite possibly a NHDES-approved septic system design and approval by the local Zoning Board of Adjustment. Averaging over forty Shoreland Permit Applications a year, Ames Associates is familiar with this application process and will be happy to provide expertise to you in this area. HOW CAN AMES ASSOCIATES HELP ME BEGIN PLANNING FOR PROJECTS WITHIN A SHOREFRONT PROPERTY? Please contact our office to speak with us regarding the location of the property, and your project desires. We welcome the opportunity to meet with you on the site to discuss potential options. We also realize that many of our clients may have limited time at their seasonal residences, at which point our staff would visit the site and promptly respond to you via telephone and/or email. Perhaps at this point you are interested only in gathering information regarding the development/redevelopment potential of your property, or a property you may be interested in purchasing. In addition to Shoreland Permits, Ames Associates provides a COMPREHENSIVE SHOREFRONT ASSESSMENT that has been developed by our office to consolidate information relative to the existing condition of the property, permit history of structures within the lot, potential of or limitations for development, what permits may be needed in the future, etc. This is especially an informative and useful tool for shorefront properties that are placed on the real estate market. MY HOUSE IS LOCATED WITHIN 50' OF THE SHORELINE. CAN ANYTHING FURTHER BE DONE WITH THE FOOTPRINT? State guidelines allow for redevelopment of existing non-conforming structures, provided the project results in an overall "more nearly conforming" condition on the property. Redevelopment may include projects such as constructing an addition, attaching a garage, or removing and building a new residence. 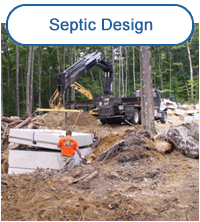 More-nearly-conforming conditions may be achieved through actions such as restoration of native vegetation, reduction of impervious surface coverage, installation of storm water management techniques and installation of a NHDES approved septic system design. It is possible to receive approval for constructing an addition within the 50' shoreline setback, as long as no point of the new footprint will be closer to the shore than the closest point of the existing residence. Complete, voluntary removal of the existing non-conforming residence in order to build a new structure may require that the new residence is located greater than 50' from the shoreline, unless sufficient evidence is presented to illustrate the difficulty in achieving this distance. Replacement in-kind of an existing residence located within 50? of the shoreline is allowed. Ames Associates experienced staff will review the existing conditions of your property with you, and discuss options for redevelopment of the existing non-conforming structure. Typically, there is a satisfactory project plan that can be developed with the client, which can also be approvable by NHDES. We look forward to hearing from you and having the opportunity to work with you!